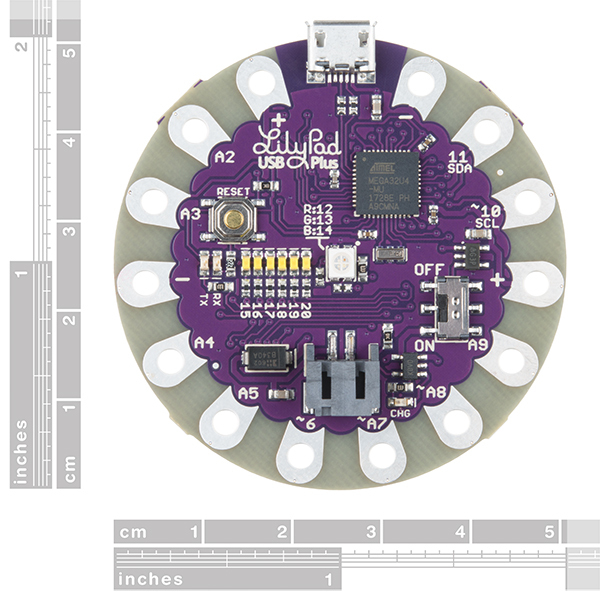 The LilyPad ProtoSnap Plus is a sewable electronics prototyping board that you can use to explore circuits and programming, then break apart to make an interactive fabric or wearable project. 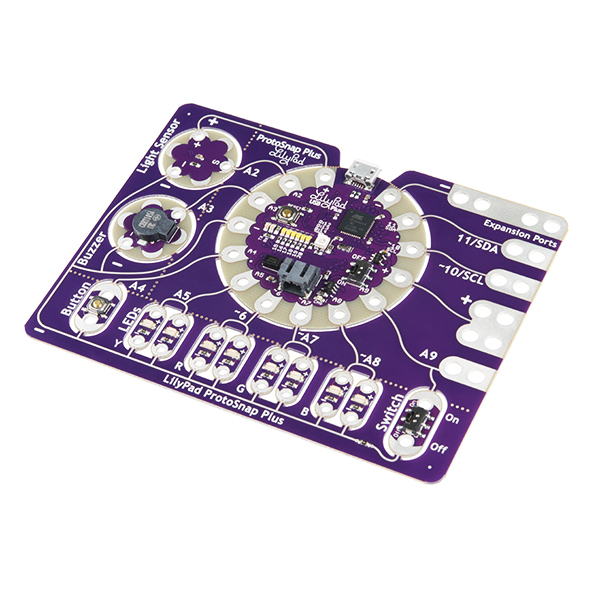 Programming the ProtoSnap Plus is easy with the free Arduino software you’ll need to program the ATmega32U4 on LilyPad USB Plus at the heart of the board. 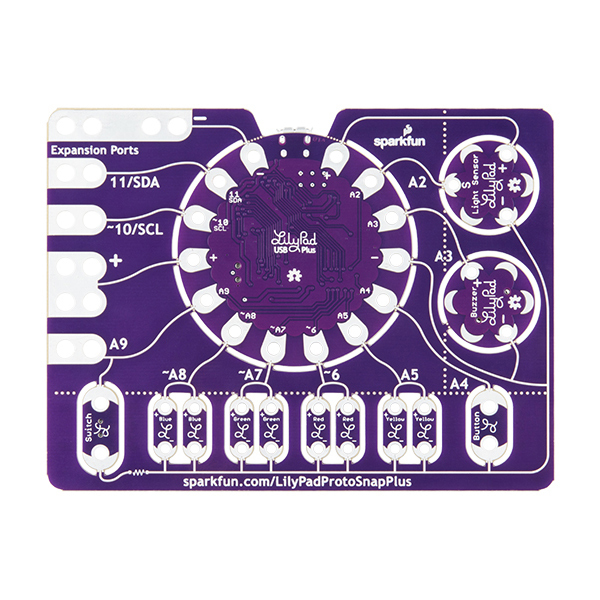 Once you’ve installed the software, you’ll be able to write and upload your own programs to the board, making it do almost anything you want. Please be aware that the Lilypad ProtoSnap Plus is NOT supported on Windows 7/8 due to a lack of support drivers for those specific OS’s. Weiterführende Links zu "LilyPad ProtoSnap Plus"
Weitere Info "LilyPad ProtoSnap Plus"
Kundenbewertungen für "LilyPad ProtoSnap Plus"